Tach LLC is a social networking startup, poised to change the way professionals network. The company was established in late 2017 after Founder & CEO, Victor Cain, identified a niche in the market. Victor states, “I’ve attended many networking events and conferences, and I’ve never been able to wrap my head around the idea of a business card. We spend so much time and money on a tool that 88% of the time, has a lifespan of only three days before getting thrown away”. Victor was a sophomore at the University of Wisconsin-Milwaukee when he came to take action in addressing this issue. Recognizing the trending digitization of credit cards, car keys, event tickets, and IDs, bulky and inefficient business cards seemed like a logical next step in this era of digital transformation. 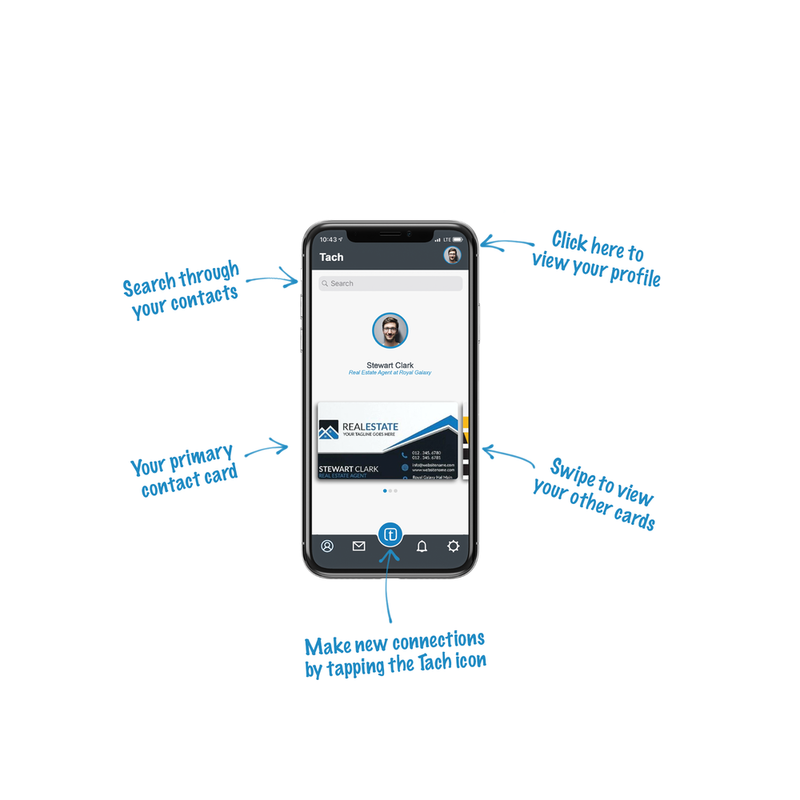 Tach LLC is currently developing a mobile application that gives users the capability to better network with others by using a new and innovative digital contact card that maintains up-to-date information about your network while keeping your information private and secure. The app is set to launch to the App store and available for Android devices by May of 2019. Firebase is a widely known and trusted BaaS (Backend-as-a-Service). Backed by Google, Firebase is used by several high profile companies Twitch, Square and Instacart. Firebase offers a multitude of backend related services. We intend on using it for authenticating users by phone number predominantly. Our app will require the users phone number and firebase will handle the rest by sending a text message to the number and authenticate the user moving forward. We will be storing user data within firebase storage which has end to end encryption. Even google wouldn’t be able to scrape our database due to this sort of encryption. One of the bigger challenges on our end would be receiving dummy requests to our servers. This is something a lot of companies have trouble dealing with as hackers can send thousands of request simultaneously. To combat this, our app will only send requests if and only if our Tach Qr are 15 minutes fresh (the timestamp would be imbedded within the Qr). This would, in theory, slow down the amount of bogus requests headed towards our servers drastically. We will also be implementing secure messaging via the Firebase Messaging. Tach understands that efficient and successful networking already is hard enough. Therefore we made our user interface as simple as possible to eliminate any complications, learning processes or other inconveniences. The application offers five main pages with different, but very self-explanatory functions. These functions will help you make networking as simple as possible. Once an account has been created, the user has the freedom to customize their ContactCard as they see necessary. A basic user can utilize standard cards for simple phone number and email address exchange. More advanced users may choose to design custom cards displaying a company logo, alma mater mascot, or links to their personal media account. Each user will have a unique experience pending different connections and meetings, all within their control. The user decides on what information they want to be shared, displayed, upload or deleted. Your next opportunity could be with your newest connection.